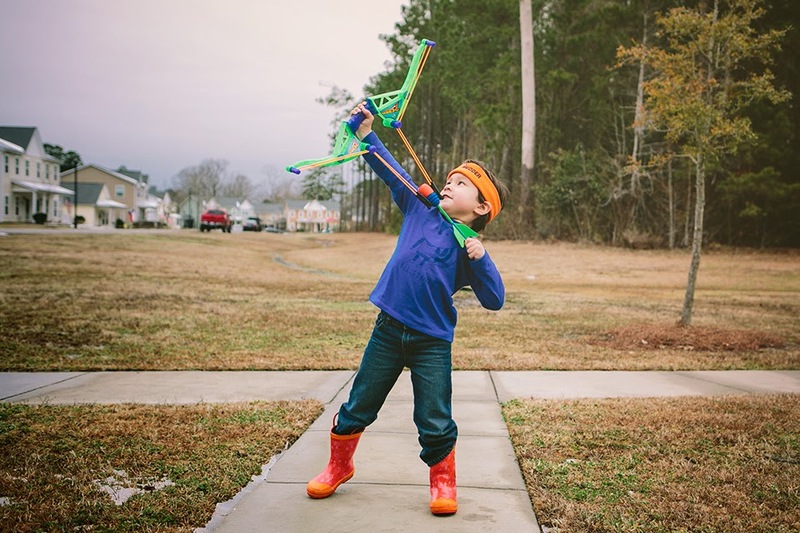 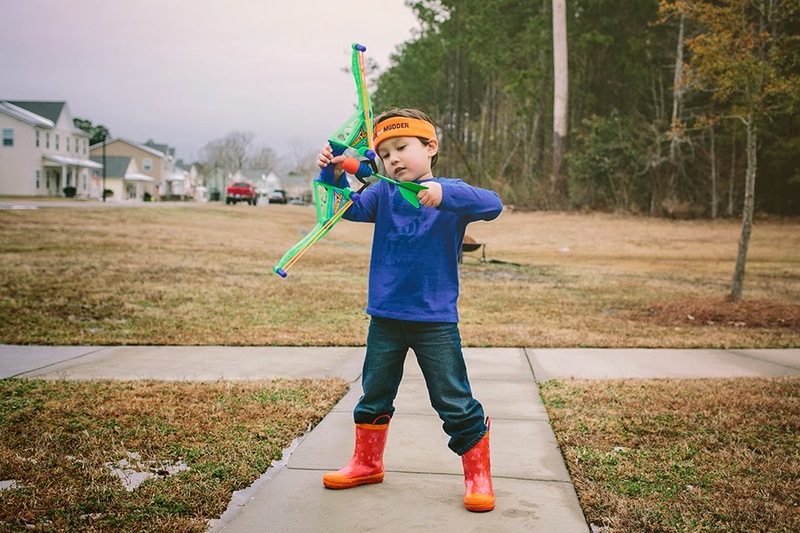 Nathaniel received this bow and arrow toy from Lola for Christmas and he is just now able to play with it properly (meaning outdoors) because of the move. 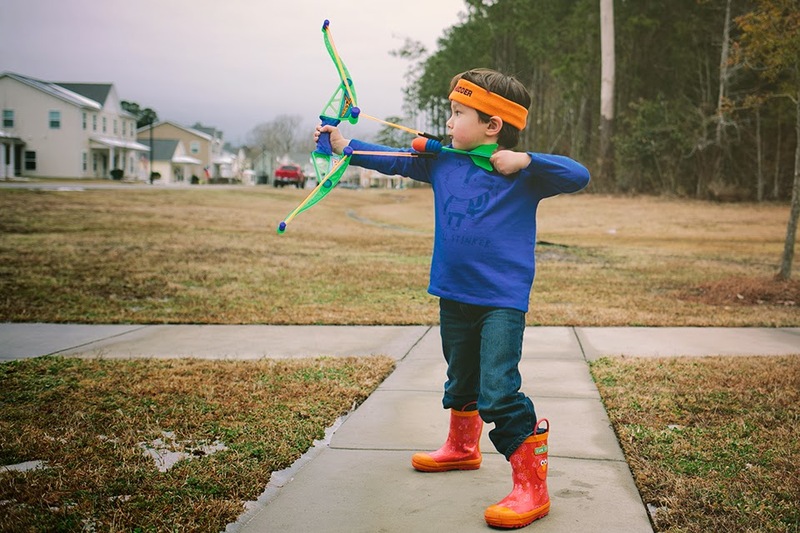 We're lucky that we have an empty lot/small forest in front of our new house so Nathaniel can shoot that arrow wherever he want without the fear of losing it. 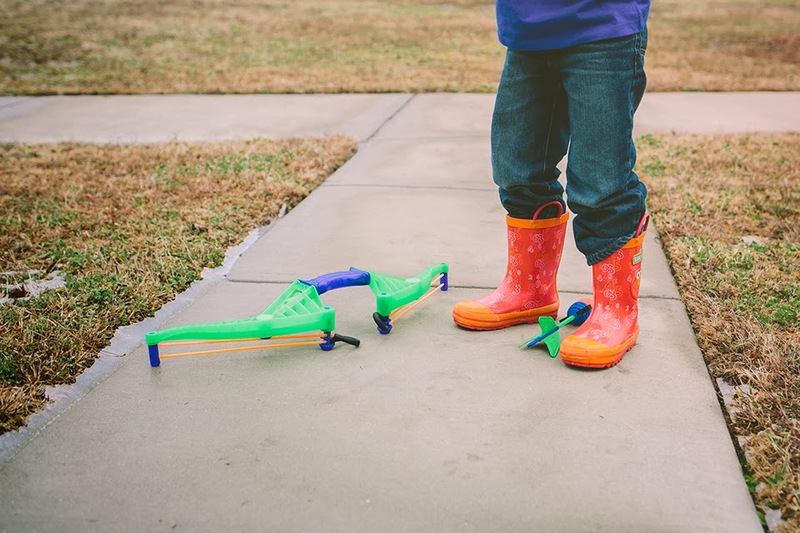 I foresee many summer days spent outdoors with this toy.